One Mission, One Purpose, One Goal …Your Natural Health! 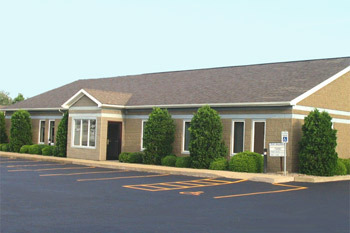 Our Amherst office is conveniently located near Niagara Falls Blvd and Sheridan Drive. We offer quality chiropractic care to all the towns of northern Erie and southern Niagara counties as well as the City of Buffalo. Balanced Living Chiropractic Wellness Provides Individualized Spinal Care! Our practice is based on the principle of Spinal Specific Adjusting, a system of personalized spinal analysis for the individual person as a whole, utilizing a thorough history and spinal function assessment with x-ray studies (if clinically indicated) to serve your individual needs. Chiropractor in Amherst, Dr. Steve Niemiec and his team will take time to listen to you and your concerns and work with you in applying your customized care plan of specific spinal adjustments to improve spinal function to achieve wellness. Our care plans are proactive and preventative. They are centered on wellness care rather than crisis care. We offer a high level of outcome based care and best practice guidelines for standards of care. At Balanced Living Chiropractic Wellness we have One Mission, One Purpose, One Goal…Your Natural Health! As adjunct faculty with the State University of New York at Buffalo – Department of Exercise Science, and mentors of tomorrow’s chiropractors, our staff is comprised of students studying to be Doctors of Chiropractic. As such, they have a vested interest in giving quality, caring service to our patients and clients. Sound interesting? Call our Amherst chiropractic office today!